Dylan just graduated from Old Dominion University with a Bachelor's degree in Biology, and will soon be pursuing higher education in the veterinary field. He joined the Midway family in the summer of 2015 as a volunteer and was then hired on as an assistant. He loves working with all sorts of animals, especially ferrets. 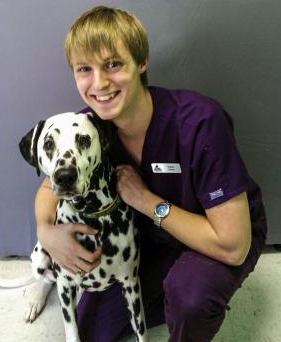 In his free time, Dylan enjoys playing video games and going on adventures with his Dalmatian, Harley.